In a Memorandum of Oct. 1, 2013, we asked each of you to make public the intelligence upon which you based your differing conclusions on who was responsible for the sarin chemical attack at Ghouta, outside Damascus on Aug. 21, 2013. On Dec. 10, 2015, Eren Erdem, a member of parliament in Turkey, citing official documents, blamed Turkey for facilitating the delivery of sarin to rebels in Syria. Mr. Kerry, you had blamed the Syrian government. Mr. Lavrov, you had described the sarin as “homemade” and suggested anti-government rebels were responsible. Each of you claimed to have persuasive evidence to support your conclusion. Neither of you responded directly to our appeal to make such evidence available to the public, although, Mr. Lavrov, you came close to doing so. In a speech at the UN on Sept. 26, 2013, you made reference to the views we presented in our VIPS Memorandum, Is Syria a Trap?, sent to President Obama three weeks earlier. 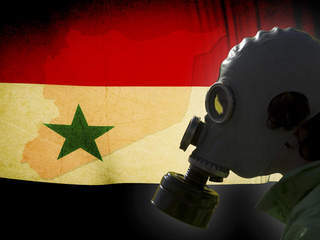 Pointing to strong doubt among chemical weapons experts regarding the evidence adduced to blame the government of Syria for the sarin attack, you also referred to the “open letter sent to President Obama by former operatives of the CIA and the Pentagon,” in which we expressed similar doubt. Mr. Kerry, on Aug. 30, 2013, you blamed the Syrian government, publicly and repeatedly, for the sarin attack. But you failed to produce the kind of “Intelligence Assessment” customarily used to back up such claims. We believe that this odd lack of a formal “Intelligence Assessment” is explained by the fact that our former colleagues did not believe the evidence justified your charges and that, accordingly, they resisted pressure to “fix the intelligence around the policy,” as was done to “justify” the attack on Iraq. This principled dissent from these analysts apparently led the White House to create a new art form, a “Government Assessment,” to convey claims that the government in Damascus was behind the sarin attack. It was equally odd that the newly minted genre of report offered not one item of verifiable evidence. On the Internet? Mr. Kerry, if your staff avoided calling your attention to Internet reports about Turkish complicity in the sarin attack of Aug. 21, 2013, because they lacked confirmation, we believe you can now consider them largely confirmed. Addressing fellow members of parliament on Dec. 10, 2015, Turkish MP Eren Erdem from the Republican People’s Party (a reasonably responsible opposition group) confronted the Turkish government on this key issue. Waving a copy of “Criminal Case Number 2013/120,” Erdem referred to official reports and electronic evidence documenting a smuggling operation with Turkish government complicity. In an interview with RT four days later, Erdem said Turkish authorities had acquired evidence of sarin gas shipments to anti-government rebels in Syria, and did nothing to stop them. The General Prosecutor in the Turkish city of Adana opened a criminal case, and an indictment stated “chemical weapons components” from Europe “were to be seamlessly shipped via a designated route through Turkey to militant labs in Syria.” Erdem cited evidence implicating the Turkish Minister of Justice and the Turkish Mechanical and Chemical Industry Corporation in the smuggling of sarin. According to Erdem, the 13 suspects arrested in raids carried out against the plotters were released just a week after they were indicted, and the case was closed — shut down by higher authority. Erdem told RT that the sarin attack at Ghouta took place shortly after the criminal case was closed and that the attack probably was carried out by jihadists with sarin gas smuggled through Turkey. In our Sept. 6, 2013 Memorandum for the President, we reported that coordination meetings had taken place just weeks before the sarin attack at a Turkish military garrison in Antakya – just 15 miles from the Syrian border with Syria and 55 miles from its largest city, Aleppo. In Antakya, senior Turkish, Qatari and U.S. intelligence officials were said to be coordinating plans with Western-sponsored rebels, who were told to expect an imminent escalation in the fighting due to “a war-changing development.” This, in turn, would lead to a U.S.-led bombing of Syria, and rebel commanders were ordered to prepare their forces quickly to exploit the bombing, march into Damascus, and remove the Assad government. And, Mr. Lavrov, while the account given by Eren Erdem before the Turkish Parliament puts his charges on the official record, a simple Google search including “Antakya” shows that you were correct in stating the Internet contains a wealth of contemporaneous detail supporting Erdem’s disclosures. Three days later The Washington Post dutifully repeated the charge about Assad’s supposed killing “his own people with chemical weapons.” U.S. media have made this the conventional wisdom. The American people are not fully informed. There has been no mainstream media reporting on Turkish MP Erdem’s disclosures. We ask you again, Secretary Kerry and Foreign Minister Lavrov, to set the record straight on this important issue. The two of you have demonstrated an ability to work together on important matters – the Iran nuclear deal, for example – and have acknowledged a shared interest in defeating ISIS, which clearly is not Turkish President Erdogan’s highest priority. Indeed, his aims are at cross-purposes to those wishing to tamp down the violence in Syria. After the shoot-down of Russia’s bomber on Nov. 24, President Vladimir Putin put Russian forces in position to retaliate the next time, and told top defense officials, “Any targets threatening our [military] group or land infrastructure must be immediately destroyed.” We believe that warning should be taken seriously. What matters, though, is what Erdogan believes. There is a good chance Erdogan will be dismissive of Putin’s warning, as long as the Turkish president believes he can depend on NATO always to react in the supportive way it did after the shoot-down. One concrete way to disabuse him of the notion that he has carte blanche to create incidents that could put not only Turkey, but also the U.S., on the verge of armed conflict with Russia, would be for the U.S. Secretary of State and the Russian Foreign Minister to coordinate a statement on what we believe was a classic false-flag chemical attack on Aug. 21, 2013, facilitated by the Turks and aimed at mousetrapping President Obama into a major attack on Syria.